How To Throw A Halloween Party Without a Scare in Sight! 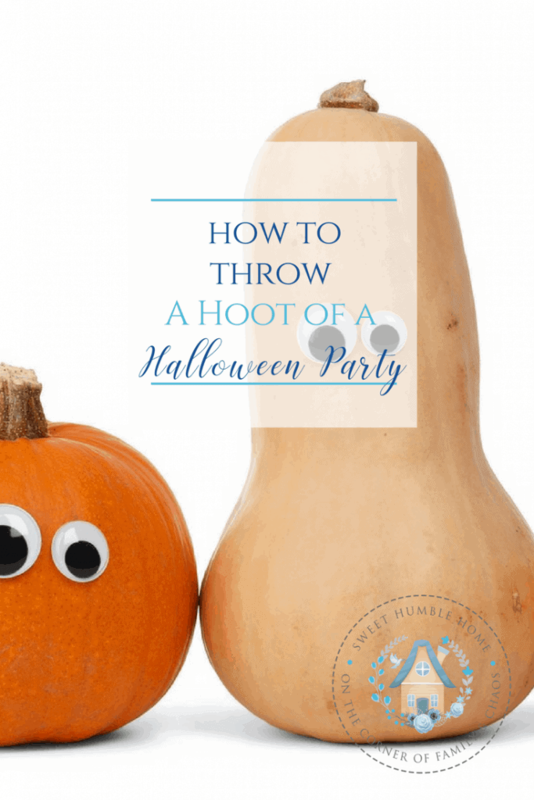 Throw a “Hoot” of a Halloween party that both kids and parents can enjoy – without a scare in sight! I don’t like scary decorations. Haunted houses are far from my idea of fun. Scary sounds and ghost stories put me on edge. Attending a Halloween party celebration with food fashioned after blood covered anything makes me lose my appetite pretty quickly. Entertaining for Halloween doesn’t have to be scary! There is so much I do love about Halloween. First, it’s fall and I’m in New England. That right there is a reason to celebrate. Second, kids love it because they get to dress up like the characters or heroes that they love, and third, because it’s a reason for the entire neighborhood to get together. That might be my favorite. My son decided this year that he wanted “scarier” decorations for Halloween and for our Halloween party. Without giving him a flat out “no” answer, I had to figure out how to keep it fun for him, while not decorating with skeletons, and horrifying scenes. I found the dollar bins at Target – the ones right up front, to be a fantastic resource! I found so many cute items here! 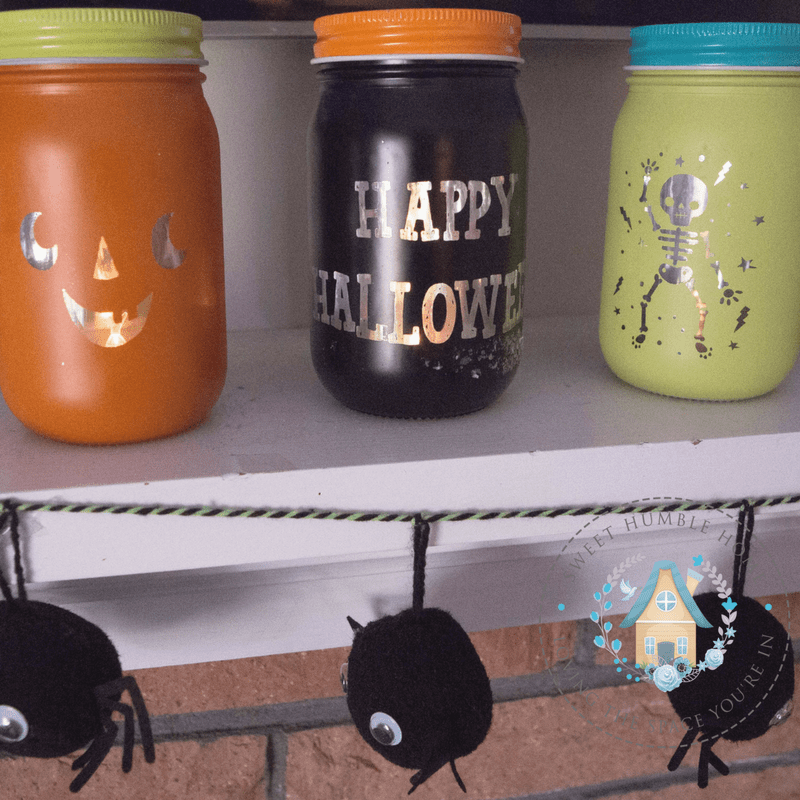 These cute, little Mason Jar type light up candles are cute enough for me, and a little edgier for him since he’s looking for a little more decor than pumpkins. 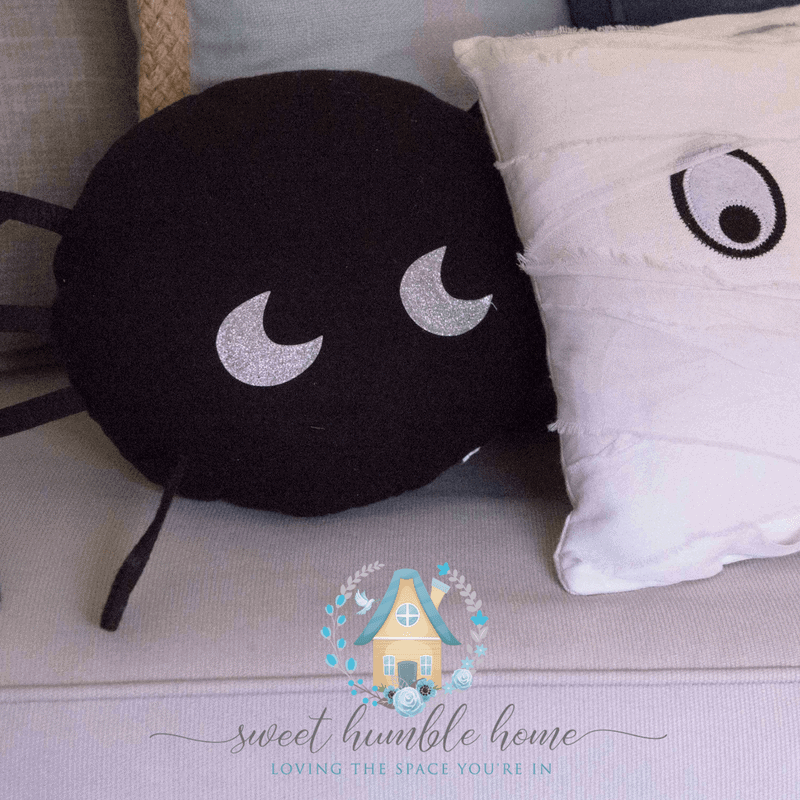 This spider pillow was only $3. He thinks it’s a little scary. I think it’s adorable. 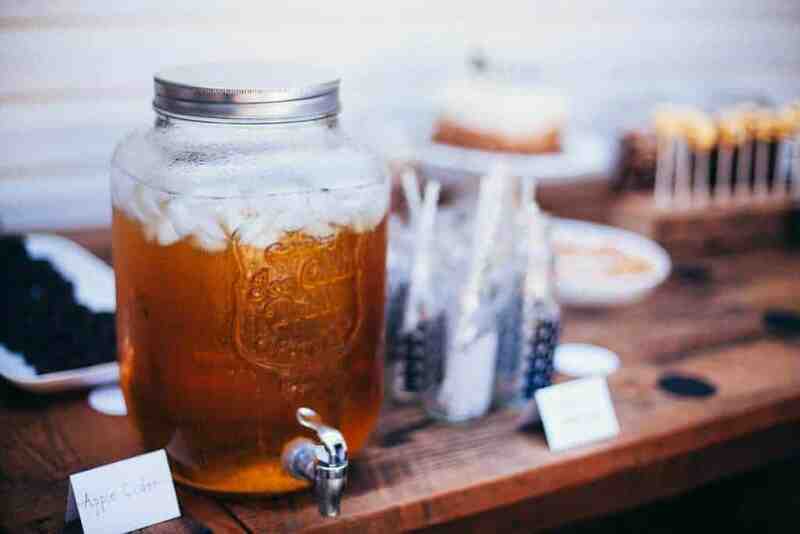 Food & Drink – simple, traditional choices are the way to go! I love the flavors of fall. So my take on a Halloween menu doesn’t need to include bones, brains, and all things creepy. To me it’s much more appetizing to serve traditional fall flavors and to present them festively to kick it up a notch. Generally, people expect a protein, vegetable and a carb with each meal, so even though we often no longer serve a starch with dinner, when entertaining, I always offer one. Additionally, we don’t make two dinners in our home. Our son eats what we eat, however; this isn’t the case with many families, and I try to be sensitive to that when I invite people into my home (along with any food allergies/sensitivities). If you’re feeding a large crowd, make two main dish offerings. Last time I threw a party like this I made my Slow Cooker Pot Roast as well as some really yummy Turkey Chili. My sides were baked potatoes (used to both top with chili and as a side for the roast, and pan roasted fall vegetables. Additionally, I made turkey meatball sliders, and hot dogs wrapped up like mummies with pop open biscuit dough for the kiddos. Around the table I also had corn bread, corn chips, a tomato cucumber salad, and sweet potato fries. Everyone was happy and everyone had full bellies. Another option? Share the responsibility. Everyone always asks what they can bring. Instead of answering: “Don’t worry about, it’s taken care of”, assign each person that offers one of the sides or extras on your table. Furthermore, if someone wants to bring a special dish – welcome it with open arms, and a big “thank you”! I love to offer a seasonal fall sangria, as well as seasonal brews. You can find recipes for both on my Pinterest Boards. For the kids, I always have apple cider and water bottles on hand. Everyone looks forward to sweet treats, and they are a big deal at a party! For a fall gathering there should absolutely be some sort of apple crisp, a pumpkin dessert, some fun cupcakes for the kids, and additionally, candy. A Halloween party must have candy. 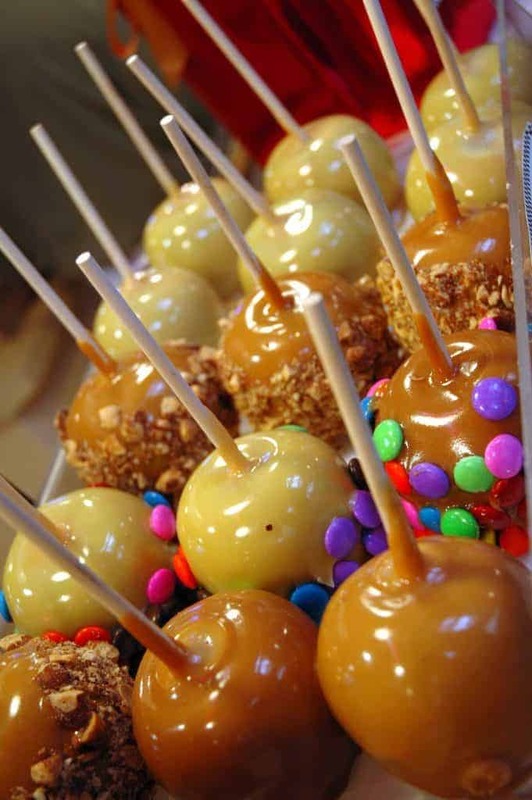 Candied apples put together before your party make perfect party favors, too! There are three ideas that I have used time and again for Halloween Parties. Gather sugar pumpkins (one for each child), throw down some newsprint on a table, and leave all sort of options for decorating. I’ve used paint, glitter, stickers, sharpie markers, you name it. Let each kid decorate their own pumpkin. 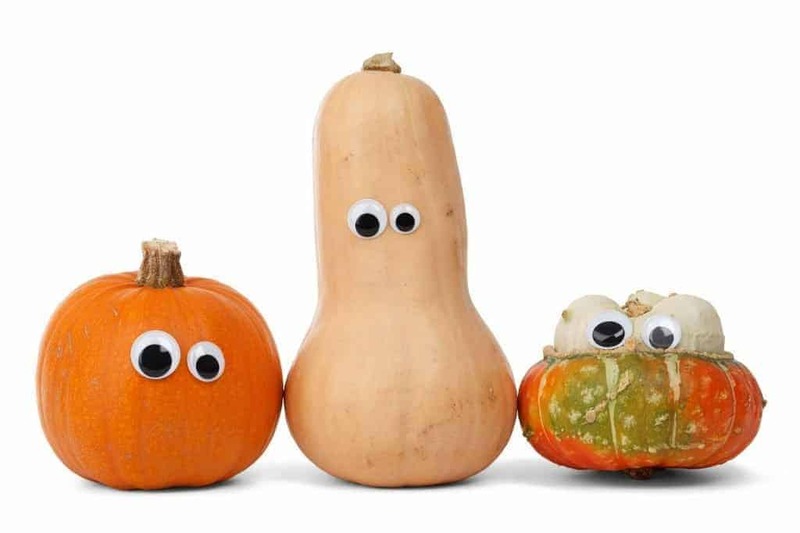 See how just adding stick on googly eyes to a pumpkin or squash can be cute and festive? 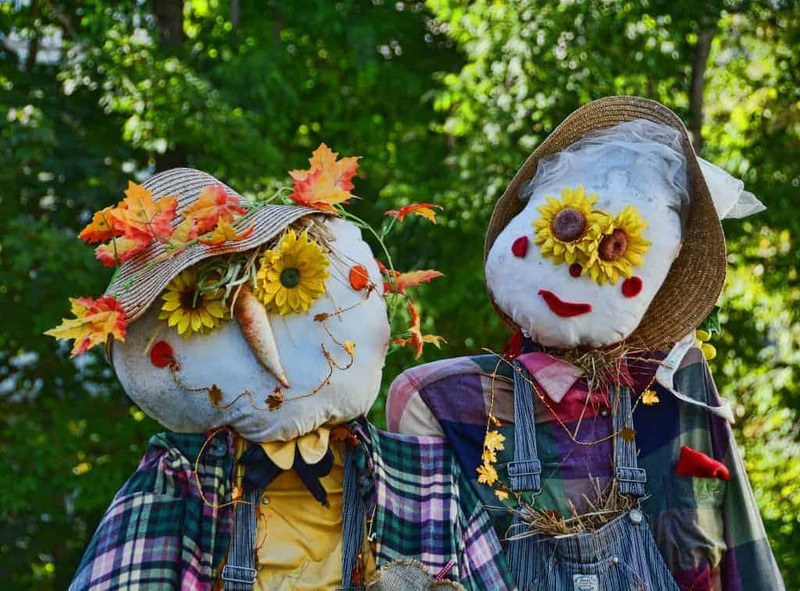 Do you know how easy scarecrows are to make? I didn’t either. Ask party guests to bring a bag of old, unused clothing, along with some hats. Grab about 3 bales of hay from your local farm, some inexpensive pillow cases, and a few sharpie markers. That’s all it takes! Everyone goes home with a scarecrow! Whatever you do – have fun! Entertaining for Halloween is super easy. How do you celebrate?